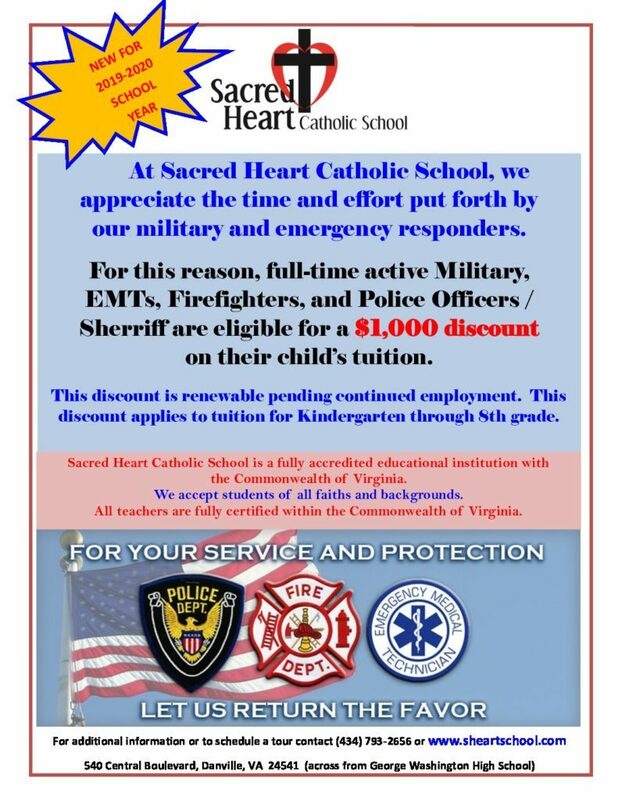 At Sacred Heart Catholic School, we appreciate the time and effort put forth by our military and emergency responders. For this reason, full-time active Military, EMTs, Firefighters, Police Officers and Sheriff are eligible for a $1,000 discount on their Child’s tuition. This discount is renewable pending continued employment. Please fill out the form and return to the Admissions Office. Download your discount application here!